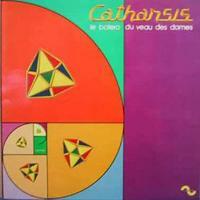 Le Bolero Du Veau Des Dames (76) is the first album of new material for Catharsis since Pop Poèmes of 73, because the following two releases (32 Mars and Illuminations were both recorded in 71 along Masq, their debut album. 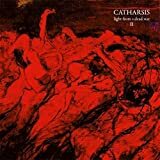 This album stands a bit apart in Catharsis' discography as there are only of the four usual members (the other reappearing for the following year's S'Aimer Et Mourrir. Replaced by members Claude and Michel (no last names given), the quartet probably signed their most symphonic oeuvre (although I've not heard half their albums) and arguably sounded the least like Floyd, although there are still some strong hints. BTW, don't be fooled by the vol 5 on the Spalax Cd reissue, this is their seventh album. Although an organ-dominated sound, Catharsis' music sounds a tad different, as Bocquet's organ is a Farsifa, rather than the usual Hammond. Right from the first notes of Falace' you'll see easily that you are in a very different kind of musical realm. 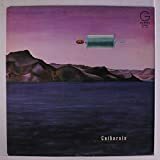 Some tracks like Melba still have a Floydian streak, but most include a fair bit of very tasteful brand of symphonic rock between Camel and Genesis. As with all Catharsis albums LBDVDD is hardly clocking around the 30 minutes mark. The best track of the album is clearly the 10-mins title track, which spends all its duration throughout, changing through a myriad of moods and ambiances much like a better version of Camel (and even sometimes close to Caravan and Genesis) and French compatriots Carpe Diem. Also among the better tracks is Docteur Pleu, which has some delightful spacey sounds as well as some near-orgasmic breathing over a not-so steady beat, before breaking into a very Genesis-type of close. The weaker track would be Tango, with its staccato rhythm, but even then this is a stretch call it bad. 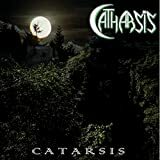 Catharsis might just stand as one of France most singular groups, this album is probably their proggiest (in the light of symphonic prog) and it seems that Catharsis has forgotten a bit their psych roots and developed a stronger symphonic sound. .
Post a review of CATHARSIS "Volume V - Le Bolero du Veau des Dames"